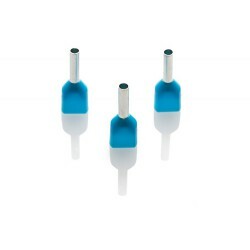 0.75mm² Twin Cord End Ferrule, Blue (DIN type), Pack of 1000. 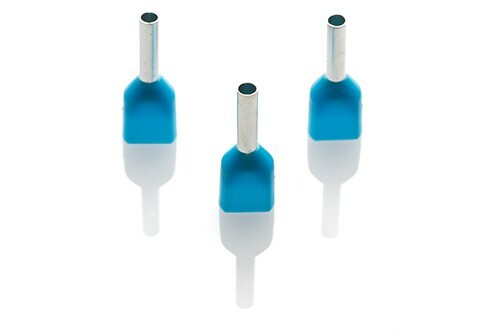 Partex twin entry cord end ferrules. Conductor size: 0.75mm². Barrel length: 8mm. Also available in the German and French colour coding systems.